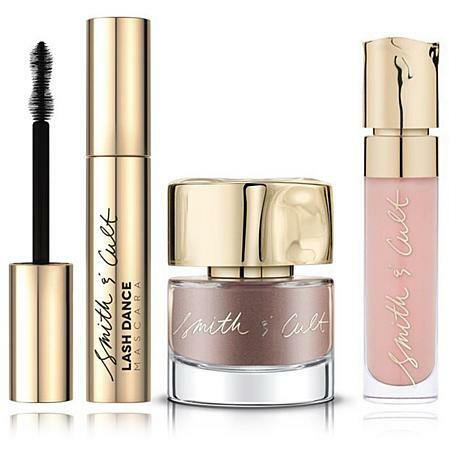 A trio of Smith & Cult's most gorgeous cosmetics including a mascara, lip gloss and nail polish. 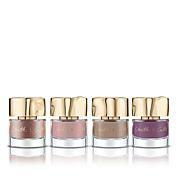 Apply any of our amazing shades to your nails then finish with our top coat, Above It All (sold separately). Love the lip gloss, feels amazing and last. 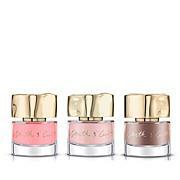 The nail polish dries very fast and wears forever. The mascara itself is great, but the brush it comes with just applies huge clumps. Had to use a different brush for application. Smith and Cult set is a nice one. 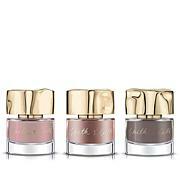 The nail polish is especially beautiful. I wish that it had been better protected in mailing as two items had dented lids making it hard to open. Polish was easy to apply using the little brush; went on pretty smoothly. Color is not one I would wear very often. Gloss is very thick; tacky and uncomfortable on lips. Bristles of mascara brush are sharp (accidentally touched base of my lash and ouch! ), very little mascara loads onto the brush and the mascara doesn't even go onto the lashes. Will have to return this trio.